A man was arrested after calling police claiming, “his girlfriend stole his weed” and was threatening to kill her and himself. 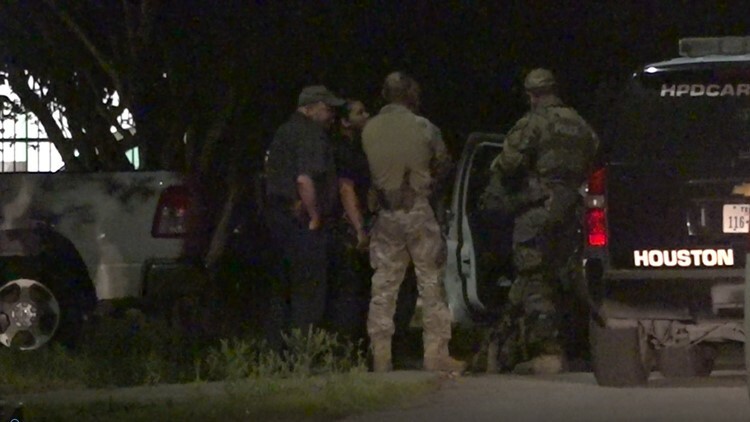 Police say the man was taken into custody following an overnight standoff in which he threaten them with a knife and threw a brick at officers. HOUSTON — A man was arrested after calling police claiming, “his girlfriend stole his weed” and was threatening to kill her and himself. This eventually led to an overnight SWAT standoff with the man who police say was high and acting very belligerent. This started just before midnight late Thursday in the 7600 block Ilex in southeast Houston. At that time, police say the suspect called police claiming "his girlfriend had stolen his weed." He then called again shortly after threatening to kill her and himself. Police say when they arrived at the scene, the girlfriend had already left and the male suspect had fashioned a noose in the carport. Police tried to take him into custody, but he started fighting with them. A Taser was used on the man multiple times but did not have much effect since he was wearing a thick jacket, police said. The man then grabbed a knife and began threatening the officers, making a throat-slashing gesture. At one point, the suspect got a hold of a brick and threw it at the officers, police said. They were able to contain him to the home and SWAT was called in to help with the situation. Eventually, a negotiator was able to talk the suspect out of the home and SWAT took him into custody. No injuries were reported in the standoff. Police said the suspect does not actually live at the house and that it belongs to his mother. Officers could smell marijuana on the man, but suspect he was high on something else. They added that he has a criminal history and has been arrested numerous times before.